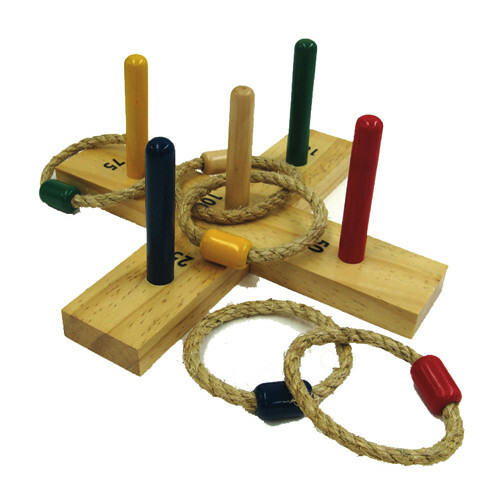 Quoits is a game that dates back to the Ancient Greek Period and was regularly played in Victorian times. There are many versions of the game, and we are pleased to offer a beautifully boxed nostalgic set. The box bears pictures reminiscent of the age of the great liners. Set contains five rope rings, and a wooden cross with five pegs. This is a lovely game that can be played by the whole family.